It’s no secret that taking care of your skin is vital to retaining a youthful look. However, while you may have developed an excellent skincare regiment that you are 100% committed to, there may be an area that you are overlooking: your neck. Many people focus all of their skincare efforts on their face because they know that proper care is vital to reduce the signs of aging. The neck ages just as quickly as the face, and it can show signs of aging even quicker. Fortunately, the beauty industry has been paying attention to the concerns of an aging neck. There are dozens of creams available that are specially formulated to target the delicate skin that falls just below the jaw line. These creams restore lost elasticity, preventing the dreaded “turkey neck” effect, smooth out fine lines and wrinkles, and they can even out skin tone, too. 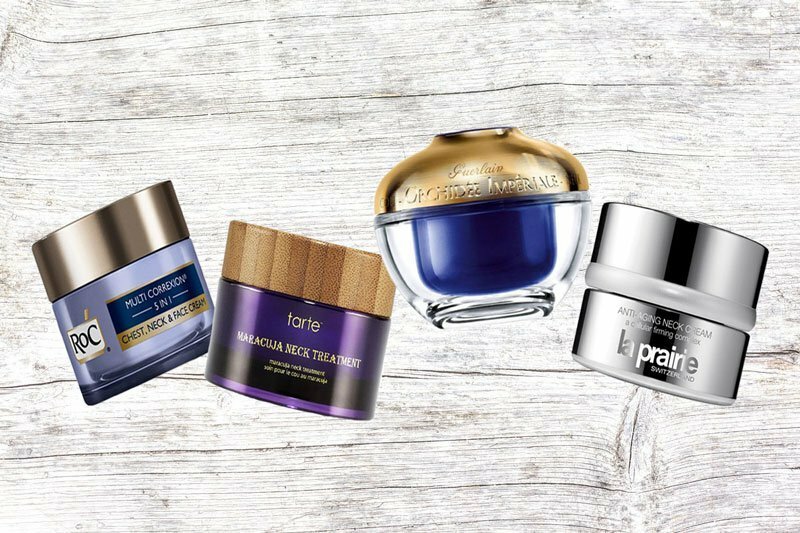 While there are plenty of creams to choose from, we’ve selected the 13 best options to keep your neck looking young and fresh. 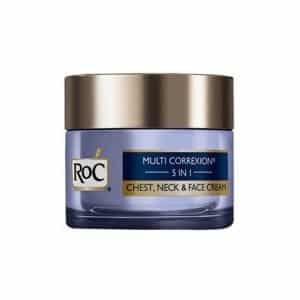 RoC Multi Correxion 5-in-1 Chest, Neck and Face Cream: If you want to hold onto your youth, using a cream that contains an SPF on a daily basis is an absolute must. RoC Multi Correxion 5-in-1 Chest, Neck and Face Cream has an SPF of 30, which gives it the ability to block out those damaging UV rays. This makes it an excellent option for keeping sun-related aging at bay. It is also very rich in glycerin, which moisturizes the skin and combats the appearance of dark spots. As a matter of fact, with this cream, you don’t just get to prevent the signs of aging, but can also reverse it! You can check prices on Amazon. 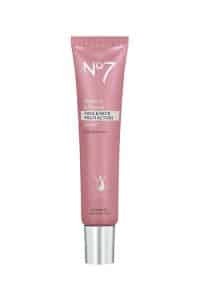 No7 Restore and Renew Face and Neck Multi-Action Serum: This cream is packed with a perfect combination of ingredients which gives it some amazing abilities, including anti-wrinkle, firming and lightening, to restore elasticity, smooth wrinkles and diminish dark spots. Spotting just the right quantity of calcium, amino acids and cermides, this multi-action cream provides your skin with vital nutrition it deserves. Clinical studies found that this serum left skin visibly smoother and firmer. Tarte Maracuja Neck Treatment: This cream from Tarte is specially formulated with ingredients that help target and enhance the look and feel of the skin on the neck and décolleté. Infused with Tarte’s special maracuja, as well as algae extracts, the Maracuja Neck Treatment provides the intense hydration that the skin located underneath the jaw line craves for. Do Not Age Moisturizing Neck Cream: After our tests, we had to call this cream an age-defying wonder in a jar. 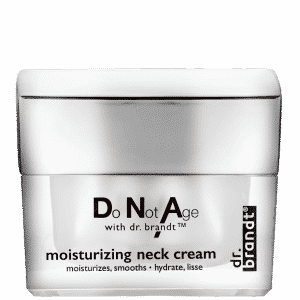 The Do Not Age Moisturizing Neck Cream is designed to smooth out and lift the skin on the neck. Specially formulated to combat dull and dry skin, this cream also restores elasticity and firmness that gives your skin a supple, youthful appearance you’ll love. 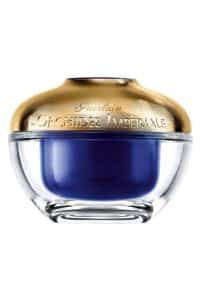 Guerlain Orchidee Imperiale Neck and Decollete Cream: Guerlain Orchidee Imperiale Neck and Decollete Cream contain some of the highest quality ingredients you can find on this list. It contains the unique Imperial Orchid Molecular Extract, a revolutionary skin care agent. It’s also packed with a mixture of other powerful anti-aging ingredients which gives the cream the ability to fully rejuvenate the skin, giving it a smoother, brighter, lighter and more nourished appearance. Radical Skincare Firming Neck Gel: Packed with antioxidant ingredients, such as grapefruit extract, aqua cacteen and sepilift, as well as green tea, jojoba oil and Vitamin E, this Firming Neck Gel from Radical Skincare is formulated to tighten the delicate skin of the neck. It replenishes lost elasticity, smoothes fine lines and wrinkles, and exfoliates to provide a brighter complexion. 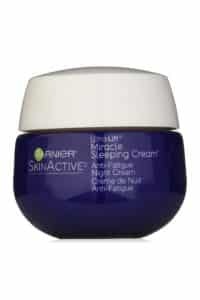 Garnier SkinActive Ultra-Lift Miracle Sleeping Cream: The SkinActive Ultra-Lift Miracle Sleeping Cream from Garnier works its magic while you’re sleeping. This cream offers the deep hydration of a mask, yet is so light that it feels like a lotion. It also contains Hyaluronic and hydroxyl acids which work together to tighten and smoothen your delicate neck skin, while lavender essential oil helps to provide a soothing effect that will lull you to sleep. 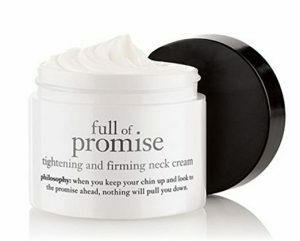 Philosophy Full of Promise Tightening and Firming Neck Cream: Spotting a perfect blend of ingredients that have been proven to tighten skin, replace lost elasticity and smooth out crepe-looking skin (which is particularly problematic for the neck), Full of Promise Tightening and Firming Neck Cream from Philosophy is designed to rejuvenate the neck area. It’s delightfully light and intensely moisturizing. 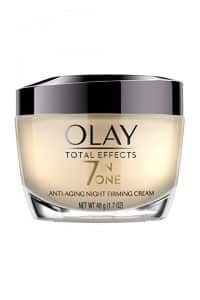 Olay Total Effects Anti-Aging Night Firming Cream: In lab tests, this firming night cream from Olay received high honors. Fortified with wheat proteins, vitamin E, Pro Vitamin B5 and VitaNiacin, this cream is lightweight and absorbs quickly into the skin. It strengthens, nourishes and restores the skin cells for increased elastic and improved vibrancy. 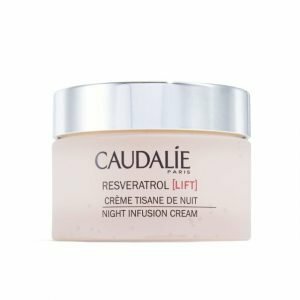 Caudalie Resveratrol Lift Night Infusion Cream: Designed to rescuplt and recontour the skin, Claudalie Resveratrol Lift Night Infusion Cream revitalizes the neck, giving the skin a more supple and youthful appearance. The secret is in the vine resveratrol, a patent agent that rebuilds, repairs and resculpts the skin. The infusion of organic shea butter and grape seed oil extract are highly moisturizing to combat dryness. Juice Beauty Stem Cellular Lifting Neck Cream: Formulated with a combination of fruit stem cells that are infused into grape seed formula that contains vitamin C, Stem Cellular Lifting Neck Cream from Juice Beauty is designed to defy the effects of gravity. 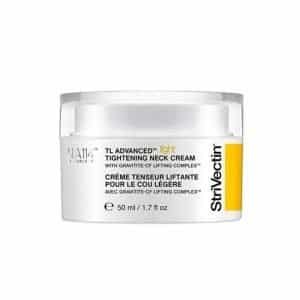 This firming and moisturizing neck cream tightens the skin, smoothes out wrinkles, and creates a more youthful glow. 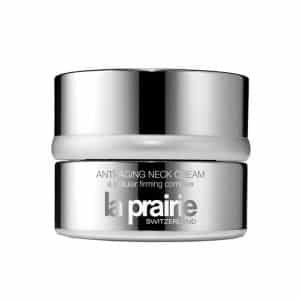 La Praire Anti-Aging Neck Cream: This skin cream contains an advanced formula that is specifically designed to replenish firmness and elasticity of the neck, providing a noticeable lift. It also reverses the appearance of fine lines and wrinkles while rejuvenating skin cells, allowing them to thrive, thanks to the La Prairie’s unique Cellular Complex. Featuring Gravitite-CF Lifting Complex, a breakthrough element, TL Advanced Tightening Neck Cream from Strivectin provides instant results. It strengthens and lifts the delicate skin of the neck, combating sagging and providing a more youthful appearance. This cream also instantly hydrates the skin, smoothes out fine lines and wrinkles, and helps to brighten dark spots. It is advisable to use neck creams immediately you notice any form of saggy skin or wrinkles around your neck. However, we encourage anyone looking to use neck creams to start at the age of 25 as this is when the signs of sun damage and wrinkles slowly begin to form. With the list above, you should be able to get the best tightening and lifting neck cream for your skin. 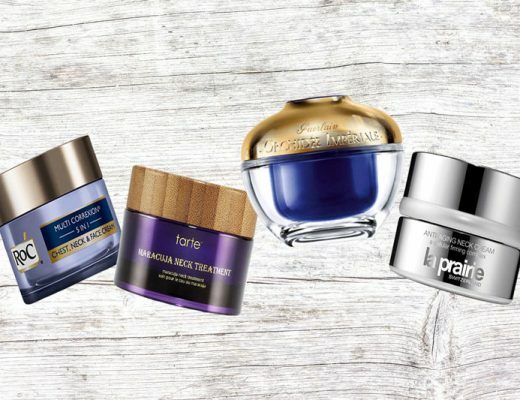 How to find the Right Face Lift Creams? Previous Post Choosing Cosmetic Surgery or Face Lift Cream Which is Better You? 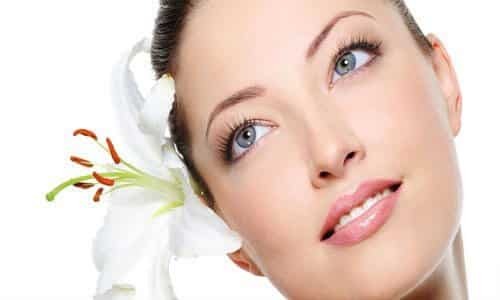 Choosing Cosmetic Surgery or Face Lift Cream Which is Better You? Copyright 2017 - naturalbeautic.com. All Rights Reserved.